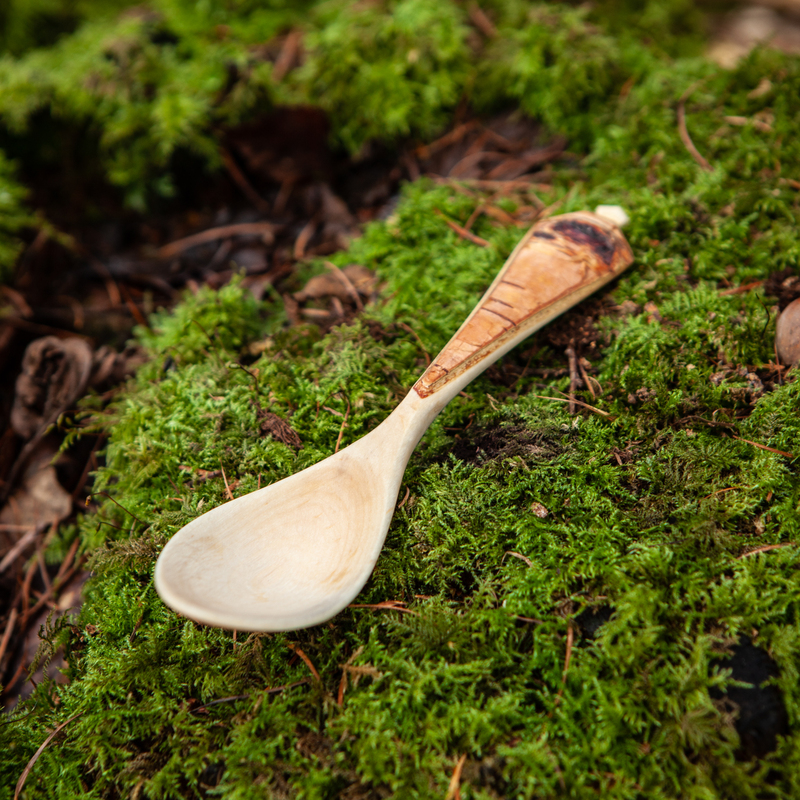 Beautiful eating spoon from silver birch. 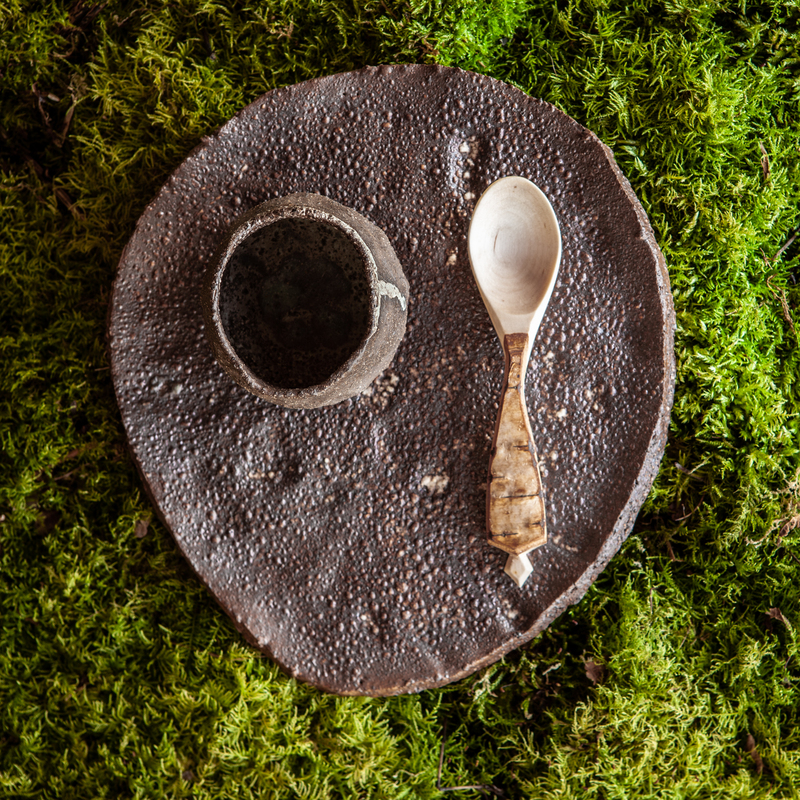 The handle has the bark of the Birch intact. Finished with food safe oils.